Was there any evidence "Wind Chimes" was Air? The Smiley Smile Message Board | Smiley Smile Stuff | General On Topic Discussions | Was there any evidence "Wind Chimes" was Air? or knock down an outside wall of the studio, push it in, and rebuild the wall. Then reverse the process to take it home. May well have been a grand in the studio, but that it was Brian's is hugely doubtful. I'll address the 8-track in a moment, but on the issue of the piano: Something being highly unlikely in retrospect doesn't equal something not happening, right? For one, this is the same Brian Wilson who in August 1967 had his white Baldwin organ moved from his house, crated up, shipped to Hawaii for two concerts, then shipped back. Logic would say he would have rented one for the shows in Hawaii, but he wanted the sound of his Baldwin on stage for those shows which were to be recorded (and how that was done is another story full of illogical setups that seemed crazy but actually happened according to the engineering staff from Heider's who did it), and illogically and at great cost made it happen. We just don't know enough to definitively write it off. Even if we did, if the standard applied where such a comment would therefore discredit the legitimacy of the entire piece and dismiss the other evidence presented in that article, let's go through any number of Beach Boys interviews and throw out the baby with the bathwater based on something inaccurate that was said in the interview. There was a recent one late in 2015 where some incorrect info was given on TV about Gary Usher's car as recorded on the street for 409...minor stuff, as minor as the piano comments from Vosse, but using that standard maybe we should dismiss everything else said in that interview and others? Recall there is a piece of silent film shot by Dennis at Western, along with still photos, that show Brian, Chuck, and an assistant running a mix at Western using a Scully 8-track tape machine. 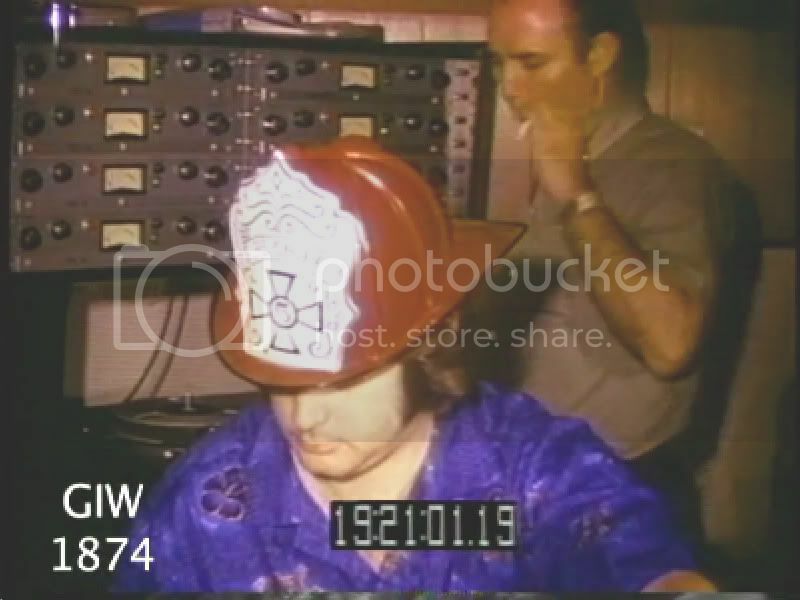 Considering they (including Van Dyke Parks) are also wearing the same plastic toy firehats as seen in the GV promo, and in the Fire studio sessions afterward, it most likely dates from the specific time in fall '66 when the Beach Boys were home between tours, when the promo was filmed and before Fire was recorded in the studio with the same firehats that were in Brian's car which he asked his assistant to bring in to help set the mood for that session. The timeline adds up. It's not quite as easy to dismiss Vosse's article so quickly and out of hand. This new standard of throwing away the full contents of someone's piece based on one comment in question (nay, not even proven wrong but just in doubt...), I don't understand what the goal is beyond discrediting that person who wrote it. But it doesn't make sense. And in the case of Vosse, who actually got it right unless we put the microscope on his grand piano comments, he got it right. Check the links on those 8-tracks at Western for the real deal on that issue. Whether Brian rented those specific machines or not, he had an 8-track with Chuck at Western in Fall 1966 when Van Dyke was there wearing his plastic firehat. The 72 Smile was more than Carl just speculating - He was actually going through the Smile tape archive and transferring tapes and making decisions as to what to include and what needed finishing. That doesn't mean that his decision to make Dada part of Water was based on any original Brian intentions, just that he was trying to put together a coherent Smile album with the material at hand, and the Dada/Water connection worked for him, or seemed to. Now let's start speculation on the famous unreleased Carl 1972 Smile album and what would be included and what the elements would be and what Heroes sections would be used! Decades ago the grand piano claim was dismissed as being too large to have been brought into the studio. I still wonder though if that is actually true? That it couldn't have, I mean. The layout of Western Three would make it pretty much impossible to do on a whim. There were no cargo doors. Also, the article stated that shortly thereafter said instrument was back in the Laurel Way house. As for the eight track, my point was about it being Brian's personal property. My premise is that the article shouldn't be treated as unquestionably accurate, not that it be dismissed out of hand. Parts are undoubtedly accurate: others are questionable. I can't remember seeing that - do you have a still of that at hand? I'm not saavy about moving pianos but could not a professional piano mover remove legs etc. and hand carry or roller cart the main body through a standard 28 or 32" x 80" door? Thank you! He's probably looking for the Dr. Sommer section. 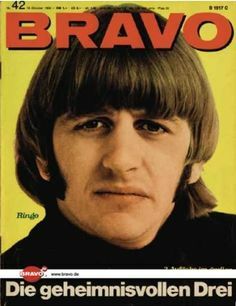 Take it for what it's worth, but the 1967 Surf's Up was found on a reel containing "Country Air"
Mark Linett: "In fact, on this set, we were transferring reels for the Wild Honey album late last year and completely unmarked on the session reel for a song called “Country Air” discovered Brian doing four or five takes of “Surf’s Up” – just him at the piano from late ’67. So, we included that on the box. No explanation for why he did that and it was never taken any farther. Although I don’t think the intention was to take it any farther because it’s just him singing live and playing piano." I'd love to know the magazine made it into the Smile Sessions in the first place. Who knows, Micha, maybe that's the point when the whole project lost its innocence. Mistreating the English language since 2001. Mea culpa. Surely it would be no more difficult than bringing a horse into the studio? Well, you don't have to clean up after the piano. I don't know how big Brian's piano was but that video link I posted makes it looks like it was very possible without any fuss. Anybody have any info on Brian's piano and the dimensions of the brand and model and a schematic of 1966 Western's floor paln for the whole studio? Love this quote-- it gives me shivers to think about what other undocumented goodies could be waiting to be discovered at the end of reels. I mean, c'mon a Wild Honey Surf's Up magically appeared! Who the hell would've guessed THAT would have happened? And it was done with that crazy detuned piano, and the modulation right before the tag... it was different enough that it really made the discovery that much more special. Cam, you don't even need a floor plan or exact details about Brian's piano to have it be a possibility that Brian's piano could have been moved in there for a time to record sessions. Western/United as any pro studio would do already had pianos available for sessions, in several models and designs including grands, uprights, and even "tack" pianos. The staff would get their orders for upcoming session setups, and simply roll 'em in to whichever studio was going to be recording with one. As that video you posted showed, it's not rocket science to move a grand piano, nor does it take breaking down walls or door frames to get one into a room. It's not enough to suggest it did not happen when this is the same Brian Wilson who crated up and shipped a Baldwin organ to Hawaii for two shows, and as anyone who has been around Hammond organs or any organs in general, those are in some ways more difficult to move than a grand piano which has removable legs and can be moved on a cart just like the video shows. Simple as that. No need to find blueprints or specs for Brian's piano, it could be a possibility and can't be written off so definitely. Right, but isn't the claim such in the article that it has been taken as Brian's personal grand piano? And the counter claim was Brian's piano couldn't have been gotten into that studio. So I'm just curious if there was something about the hallways or doors or that would prevent bring in an outside piano? It seems as unlikely as the related old counter claim that it couldn't have been Brian's 8-track recorder was because it seems a studio wouldn't exist long if it couldn't load in a grand piano or 8-track recorder. Piano movers every day deliver grand pianos to homes through regular front doors or back doors, with no problem. If a pro studio like Western couldn't take delivery of a grand piano, no less move it to any of their studio rooms for a session, there would be some major problems...least of which being the only way to get a grand piano into the room would be to build the room around the piano! As far as 8-tracks, Wally Heider made his money when he went independent by buying the latest 8-track machines and renting them to studios around LA (and elsewhere) for exorbitant fees. His crew or the movers he hired didn't have a problem moving them. And SIR made a living renting, moving, and delivering equipment...it wasn't an issue. That's what I've been saying too, I even linked a video as proof. That's right, I don't think the ability or inability to move a grand piano is enough to rule out the possibility entirely. In LLVS an article is reprinted from April 67 quoting Brian as saying all 12 tracks of Smile were finished (clearly untrue, as Andrew points out much of what Brian says has to be looked at skeptically) except The Elements, which he was still working on . .
Only vaguely remember this quote - is anyone able to post a scan, or even the text of the full quote? I don't know the original source or a publication date. the same piece you referred to before, which also states that the 11 other tracks were complete? And you can date it to April? I ask mainly because I'd love to add this to the reference thread if someone can provide a full transcription/scan of the relevant page and/or attribution. For an article published in mid-April (in the absence of a date of publication), say, we're probably looking at the interview being conducted in the first two weeks of that month (again, just an estimation). The '67 'I Love to Say Dada' sessions don't occur until mid-May. Of course, Brian may have been thinking about using 'Dada' as part of the Elements (presumably for air or water or - who knows? - both) back in March/April, but the recording dates don't particularly suggest - to me, at least - that this is what he would have been referring to in the interview you mentioned. Let's say that for an article published in mid-April (in the absence of actual attribution for the piece) we're probably looking at the interview being conducted in the previous first two weeks of April (again, just an estimation). The '67 'I Love to Say Dada' sessions don't occur until mid-May. Don't these late reports claim it is a suite as a single track though? Or maybe I'm missing your point. That may be the one, I'll have to look tomorrow. Brian says in effect all the 12 tracks for Smile are finished except for one he's having trouble with, The elements. Based on where it appears in LLVS it appears to date to April, when he was working on Vegetables or shortly thereafter. So if he was worried about Elements, and needed to work on it, and the next session is Dada, it's kind of suggestive but certainly not proof of anything.